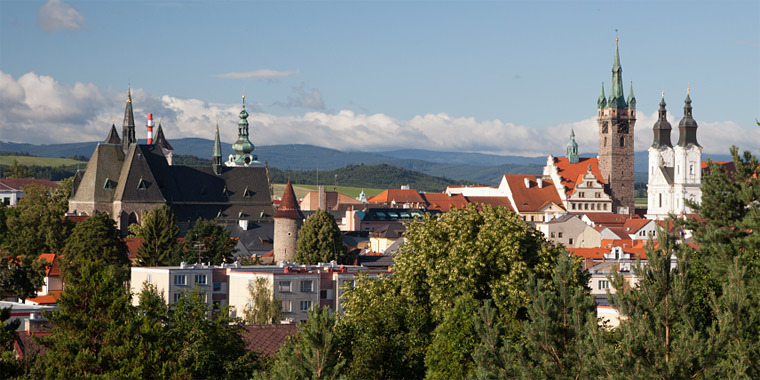 The royal town of Klatovy was established by king Premysl Otakar II in 1260 on the site attached to a 13th century trade route, connecting Bohemia and Bavaria. Subterranean crypt concealed under the Jesuit church was established during the church construction in the early 1770s. The oldest monastery in the town built shortly after the foundation of the town. 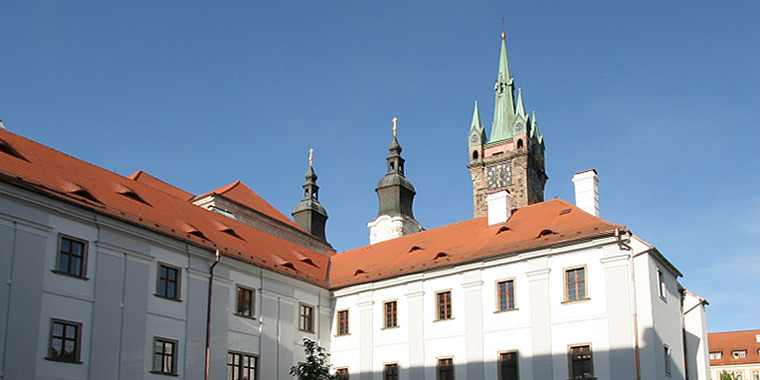 History of the church is closely connected with that of the Dominican monastery. The present-day church was built by the Dominicans after the town fire in 1689. The building in the Art Nouveau style is one of the outstanding buildings of the early 20th century Klatovy. 480 ft. long two-storey building was founded in 1655 as a part of the Jesuit grounds (church, seminary, latin school). The oldest church in the town was established shortly after the town foundation in the late 13th century. Dieses entstand gemeinsam mit dem daneben stehenden Schwarzen Turm in den fünfziger Jahren des 16. Jhs. A town watchtower 285 ft. high, built in 1547-1555 by Master Anthony de Salla. The White Unicorn Baroque apothecary It is situated in the square in a house of Klatovy pharmacists. 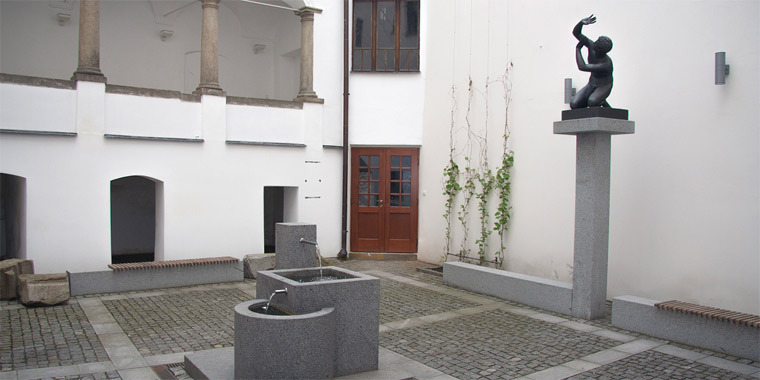 Gallery of contemporary art was founded after 1989 in a historic house in the square, where the Baroque apothecary is situated, too. The oldest part of today's town walls comes from early 14th century, however the first fortification was built as early as 1260, after the town foundation. 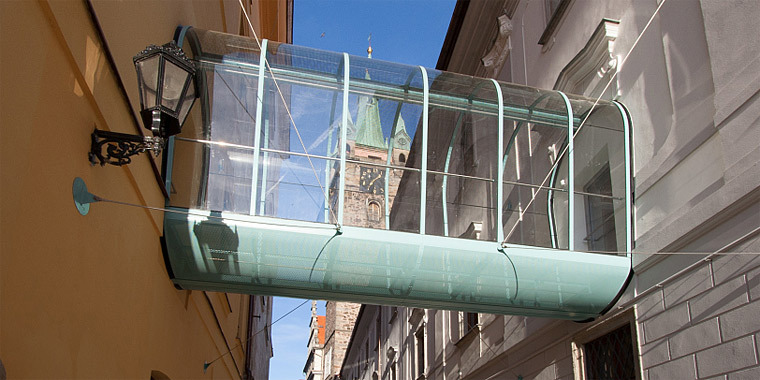 It was built at the same time as the Black Tower in the 1650s. The White Tower was built in 1581 as a belfry and entrance gate to a town cemetery, which was placed next to the Archdean Church. 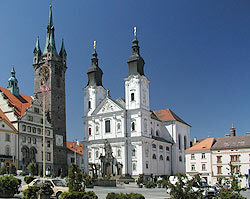 With the population of 23.000 Klatovy is the second largest town of the Plzen region. There is ample cultural and social life, visitors are attracted by a number of cultural programmes, exhibitions, concerts, lectures, feasts and other events.